Once a month I make a post about how you can help support this independent blog. Here we go for April 2019! It has been a blast blogging away here educating, entertaining and inspiring. For new readers, this selfish post only appears once a month! Don’t get mad but you can get even by forwarding my blog to your extended familia perhaps? Enjoy it while it lasts. TBB Blog Mission: To Educate. Entertain. Inspire. In That Order! Yesterday I felt burned out. So I went on Twitter and expressed my frustration about the state of my dear hobby. Dynamic pricing only a matter of time with American Airlines joining United, sad! Flying for a set amount of miles in a lie flat bed sipping Krug and eating caviar for maybe up to 80k miles was a steal. We now will have to pay the “dynamic pricing” equivalent to it. Been a long road to normalcy you guys. We had an amazing run, it’s been a blessing. And a curse having to go back to economy class lol. At the end of the day, this blog makes some money mostly from you getting travel rewards credit cards with my links and doing your Amazon shopping here. THANK YOU all, including the few who donate via Paypal. This is a labor of love for me. At three credit card conversions this month after failing to hit ten the past two months…the writing is on the wall. Time to find a new business model lol. 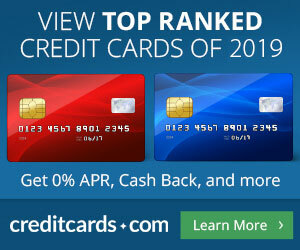 Do you know why you are seeing so many blog posts selling the ChaseInk Cash credit card? Yep, you are correct! And now for the official Disclosure: Some links on this site, like the Amazon links, may be affiliate links. If you click on one of these links and buy from the affiliated company, then I receive some small compensation. The modest income helps to keep this blog going. Affiliate links do not increase your cost, and I only use them for products or services that I’m familiar with and that I feel may deliver value to you. The stuff below is TBB approved! If interested in featuring a link to your site by being a sponsor please check this page. For the record, no sponsorships have bee sold yet, you can be first! You can learn more in TBB’s credit card page. You can donate whatever you want, thank you in advance! Please start your shopping HERE. $20 off unlimited global wifi with this device, it works! Best VPN! Worked flawlessly in Iran. Based on reader feedback and discussions with mega travelers, this baby just works everywhere, including China. And it is easy to use too, if I can do it you sure can too. Check it out! BEST password manager! I LOVE this program and have been using it for years. Without it I would really not be able to function online! It also acts as a form filler and password generator. Best money I ever spent online! You can check it out for free before you decide to buy HERE. The most reliable online shopping portal imho! Not the highest rates but I NEVER had an issue with them and they pay fast! We each get $10 when you sign up with my link above after you make a $25 purchase (or higher), get it HERE. You sign up and you get $10 credit off your first ride. Credit amount can vary! Start HERE. You get $10 off in each of your first five rides I believe for now, subject to change. Please email me for a referral. Standard offer is now $40 off your first Airbnb booking. We both earn $10 I think. TopCashBack has the highest cash back rates consistently. Start HERE. Please email me for a referral. Limited US cities. Rents only Audis! In general, very good experiences. Credit off your first ride varies, usually $25. I appreciate the support, thank you! You can subscribe to TBB below, winners only! Market based pricing offers opportunities. Bronze! For the great state of Virginia today! Love the GIF! When does VFTW NOT have clickbait? >>>>>When does VFTW NOT have clickbait? You should apply to be a TPG intern with the amount of shilling for revenue in these posts. Maybe I will…so I can adjust the TPG valuation guide to reflect the true value of United and Chase UR points…. Yeah, TBB is all about the money. TPG’s Katherine Fan blogs about Escape I blogged about last week. Of course no HT. And she likely got paid more than what I made here last month, PHUCK! Well, at least it had nothing to do with farts this time…smh. To be fair, Katherine Fan came to bury farts, not to praise them. We always seem to get the “sky is falling” post about the game (not hobby) when negative changes happen. I know many like myself are still flying Business and First class all over the planet for tickets we never would have paid cash. When things are good, we make the best of it, when it changes, we either move forward and still excel in the Game or fold our tents and move on…..
VFTW is still putting out links for the UA card this morning, Bloggers gotta blog. And sell. He hasn’t changed his 1.4 cent valuation of UA miles either. Monkey Miles is on a roll! You know why bloggers love to pump the CSP card? Because it takes just one to make them as much $$$ as pumping four United Explorer cards! A Collection of All Non TBB Buzz Posts in One Place! You get all the blog posts & the occasional hot subscriber-only deal in your email inbox.